The Gershon Iskowitz Prize at the AGO is to be given to a professional Canadian visual artist who has achieved maturity and a measure of success as an artist, and who is on the verge of using his or her creative energy to produce a significant body of work, or to continue his or her research. The Gershon Iskowitz Foundation has awarded a prize to a Canadian artist every year since 1986. Initially the amount of the Prize was $25,000 but it was increased to $50,000 in 2011. A jury composed of foundation trustees, previous winners, curators and critics selects the recipient. In 2006, the foundation formed a partnership with the Art Gallery of Ontario, renaming the prize the Gershon Iskowitz Prize at the AGO and adding a solo exhibition of the recipient’s work at the AGO to the cash award. The impetus for the Prize was Gershon’s grateful disbelief when he was awarded his 1967 Canada Council travel grant and the boost it gave to his painting at a time when he felt his career was in a lull. Subsequently, his career went well. With no surviving family, a practical question he faced was the future of his estate. His solution was simple enough. Just as he had received support from the Canada Council, he wanted to give his money to artists to help them along.  Please note that the Gershon Iskowitz Foundation does not accept nominations and artists may not apply for the Gershon Iskowitz Prize at the AGO. In 2009, the Gershon Iskowitz Foundation published The Gershon Iskowitz Prize: 1986 to 2006 to commemorate the first two decades of the prize.